Uematsu rediscovered that fun for the game in the U.S. after three years of repetitive and abusive high school practice in Japan beat his passion out of him. After finishing high school in Chiba Prefecture, Uematsu went to California to learn English, his favorite subject from junior high school. While there, he accidentally fell in love with baseball again. While studying at the University of California Santa Barbara extension, Uematsu began watching America’s game and figured that becoming a certified trainer could be a route to a career in pro ball. Ironically, it was the other things he did while studying for his qualification that got him hired. “I started sports medicine (in Illinois), and for two seasons I was with the (school’s) baseball team as a student trainer, but they let me throw BP (batting practice) or catch bullpens. When I was catching bullpens for the college team it made me feel like I did when I was playing Little League,” Uematsu said. “I was looking for an internship and the Triple-A team from the San Francsico Giants was looking for a bullpen catcher for the summer (of 2006). So I went there, they liked me and they hired me next year for the whole year. That year Keiichi Yabu joined the Giants, who loved the right-hander’s dropping fastball, but the former Hanshin Tigers ace did not hit it off with his bullpen catcher. The pitcher believed Uematsu would be there to interpret for him — a role Uematsu admits he was less than diligent about. “That was my first experience helping out a player translating,” Uematsu said. “I was called up as a bullpen catcher, and to throw BP. The assistant GM (general manager) at the time told me not to worry about being a translator in the big leagues, ‘You’re going there to catch bullpens and throw BP.’ That was my understanding. The lessons must have helped, since Uematsu is still with the Giants, with whom he’s earned three World Series championship rings. 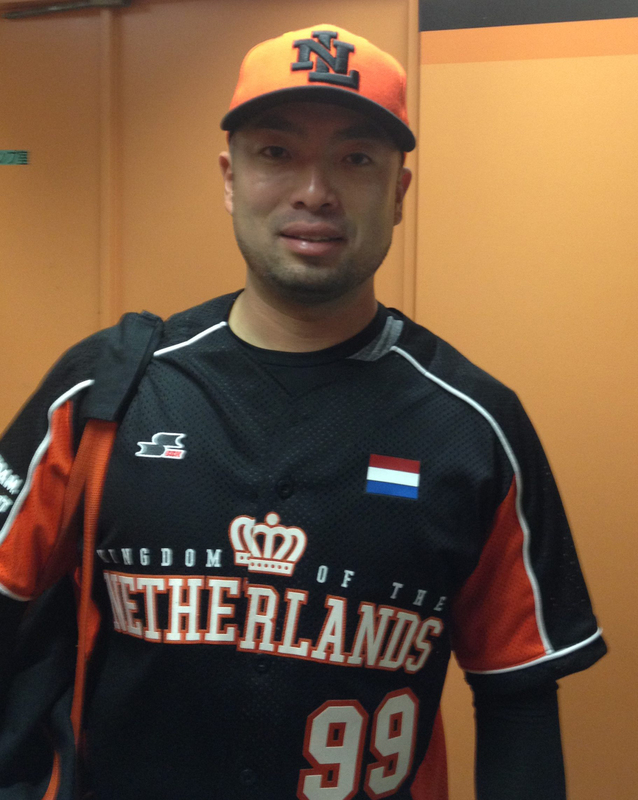 His experience abroad now helps him educate Japanese youngsters in the offseason. Uematsu instructs players of all ages, and because he’s both a catcher and a trainer, he has a lot to teach — from holding the catcher’s mitt closer to your body to handle American-style moving fastballs to tips on avoiding injury. His favorite pupils are junior high school students looking to succeed in high school, where he wants them to have a better experience than he did. For all the horror stories about high school ball in Japan, Uematsu said it does teach kids manners and respect — no surprise since foreign coaches frequently cite Japanese athletes’ willingness to listen and learn as one of the best things about working here. Although Uematsu’s eagerness to learn did not mesh with the single-minded lessons of Japanese high school ball, the love of English he acquired in junior high stayed within him enough to make a career in America possible. 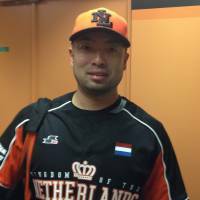 So this winter, during which he was also busy with the Dutch national team ahead of the World Baseball Classic, Uematsu repaid a debt of gratitude. He returned to his old school, Tateyama No. 3 Junior High School, as a guest lecturer. “The teacher there was my teacher when I was there, and she invited me to come and talk to her kids,” Uematsu said. “She’s the primary reason I studied the language. She made us do homework every single day, even the days we didn’t have English class. I really liked it.